Gemm Learning provides online reading interventions to help children of all ages. We call our individualized protocols interventions, because most parents come to us when the reading assistance at school is not working. Reading practice is not working. Word lists are not working. More is needed. Our program is full on. It’s a one-time effort to change your child’s reading dynamic for a lifetime. The first goal our reading intervention is to defang reading, to make it easier so that your child will be more willing to read. 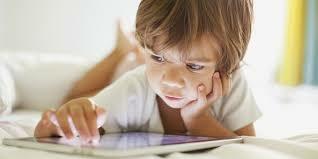 We do that using intensive self-paced exercises that work on the underlying cognitive skill impediments to reading. However, our protocols do not stop there. Our second target is to build reading comprehension, so that reading will be more interesting and rewarding. Once your child is reading comfortably and with comprehension, there is every chance he will become a lifetime reader. We work towards reading comprehension with exercises to accelerate reading fluency, vocabulary and spelling as well as with exercises that specifically build reading comprehension. We draw on 50+ age-appropriate exercises and games, organized into an individualized sequence. Here is a little more detail on our programs. While our reading interventions vary for ages 4 to 7, the underlying source of difficulty is almost always phonological awareness. That is our initial target, to improve language processing so that your child can hear all of the sounds inside words. Our early childhood programs help reading fundamentals, the cognitive and language skills required for reading fluency. Target: Fluency, the ability to read at natural language speed with prosody (natural speech emphasis). Fluency is important because it requires automatic, subconscious decoding, the foundational skill for reading comprehension. Elementary age children need at least 2-3 months on Fast ForWord Language v2 and Language to Reading v2, before graduating to our reading skills programs, which cover spelling, vocabulary, decoding, and reading comprehension. Our elementary age reading programs have a computer-game feel — levels, points, prizes — and a self-paced design that together add up to an engaged student experience. Target: Comprehension (Literal). Reading difficulties often show up in later grades as the content gets progressively more challenging. This can be due to a lack of automaticity in decoding, but can also reflect weak vocabulary or delays in essential reading comprehension skills. Our middle school reading interventions take students back to basics, building reading fluency and listening comprehension skills using Fast ForWord Literacy and Literacy Advanced. We then move students to the reading series — typically Reading Level 2, 3 and 4 — to build vocabulary, spelling and other reading comprehension skills. Target: Comprehension With Metacognition. If a student is a struggling reader at high school, it is generally up the parent to intervene — by this age, most schools assume students are proficient decoders, with the focus being on metacognition, self-regulated learning. Our reading programs for high school students start with fluency, vocabulary, spelling and comprehension and then train students to think actively while reading, the ultimate reading skill. Teenagers start with Fast ForWord Literacy and Literacy Advanced. Most high school students complete at least two programs in our reading series, typically Reading Level 3 and Reading Level 5, which work on reading accuracy, making inferences from paragraphs, and metacognition skills as required for SAT, ACT and college level reading. Our reading programs can be helpful before sitting ACT or SAT, although they do require consistent effort and attendance, a challenge for some high schoolers. Older students see results quickly, in 2-3 months in most cases. Gemm Learning helps English Language Learners learn to read using a combination of exercises that help students learn the sounds of English so that they can then learn to read more naturally. Our ESL Reading Program also builds vocabulary, grammar, spelling, reading fluency and comprehension. The key to homeschooling a child with reading difficulties is balancing the need for reading practice while carefully protecting a child’s inbuilt love of learning and reading. Our homeschool reading program tackles this issue by exercising the cognitive skills that make reading easier. If reading is easier, a child will be more willing to read aloud early on and to put in the hours reading independently later on.